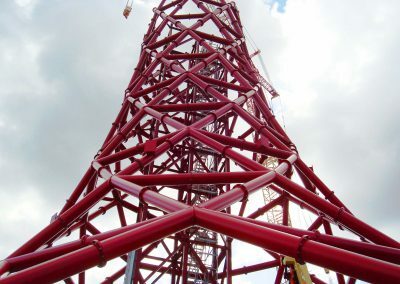 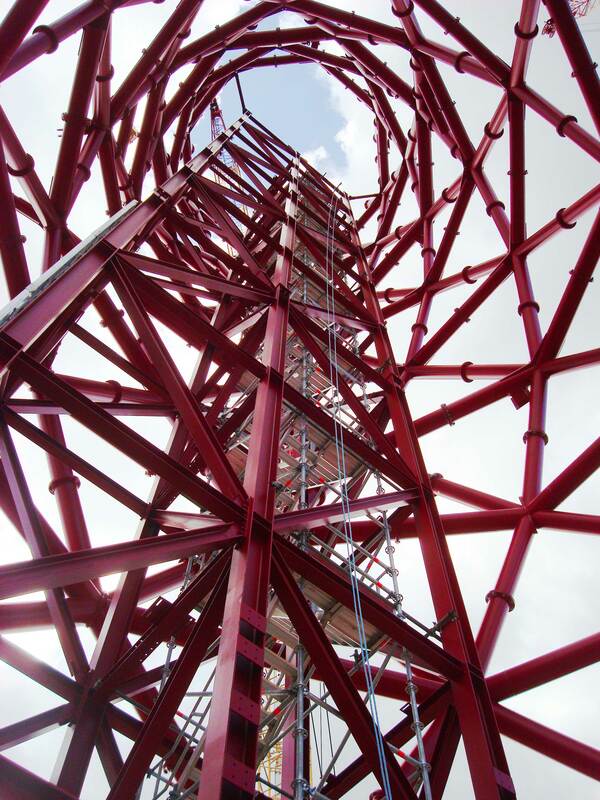 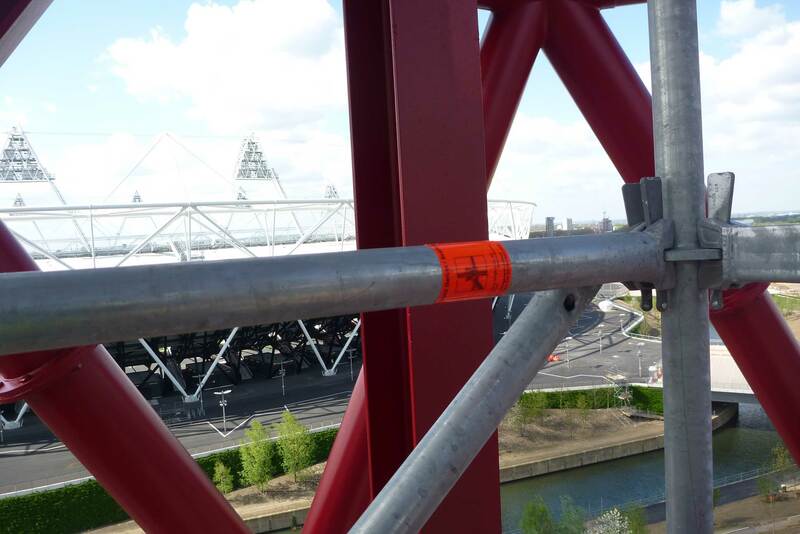 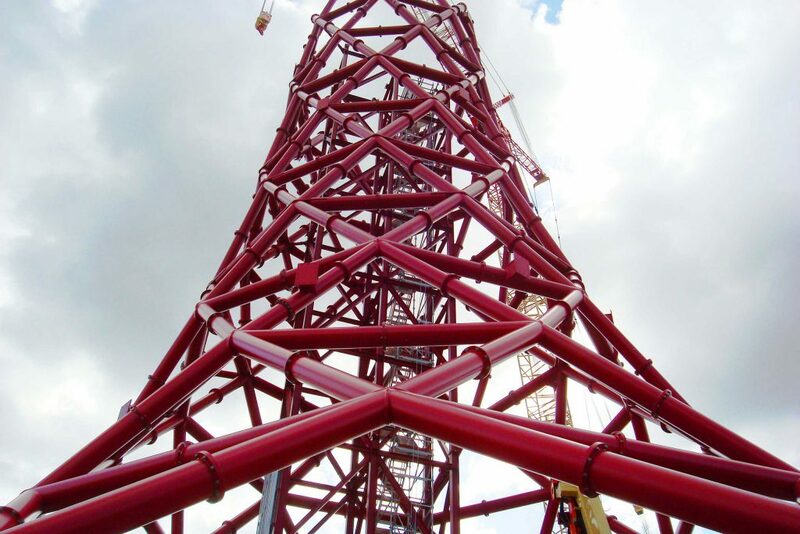 The ArcelorMittal Orbit Tower, designed by Anish Kapoor and Cecil Balmond, being constructed by Team Orbit – who have appointed GBG Construction (founded by the late Gerry Gleeson) to provide the access scaffold – features a Layher stairtower system that rises to almost 85 metres. 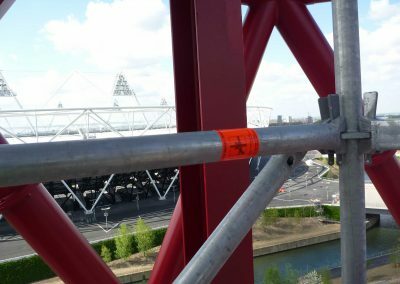 GBG Construction draws a comparison between the modular Layher system and the alternative of tube and fittings – the latter, Andy Collins says, would have used significantly more material, greater man-power and, perhaps crucially, markedly more construction time. 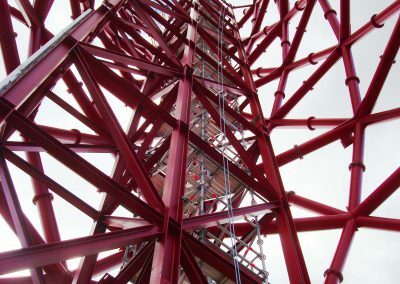 “The ArcelorMittal Orbit Tower by Anish Kapoor and Cecil Balmond will become one of the most recognisable and iconic structures of its type and we are delighted to have worked closely with GBG Construction and main contractor Team Orbit to help meet very clear cut operational objectives and deadlines,” adds Layher’s UK Managing Director Sean Pike.